Sadly for the officers who gave the recommendation, the situation did not change. The machinegun remained, and no sight was added. Not until April 5th, 1945, were trials held to see if a sight helped out after all. 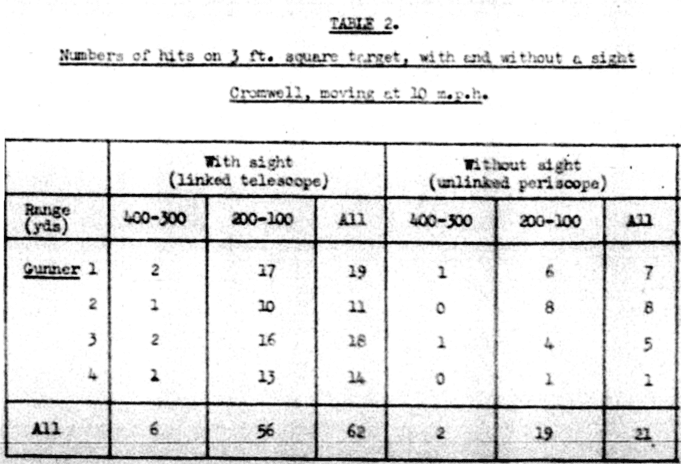 A stock Cromwell, as well as one with a 1.9x No.39 telescopic sight were used for this test. Firing was performed against 3x3 foot targets. Guns were fired continuously for 10 seconds. Unfortunately it is not mentioned how many rounds were fired. 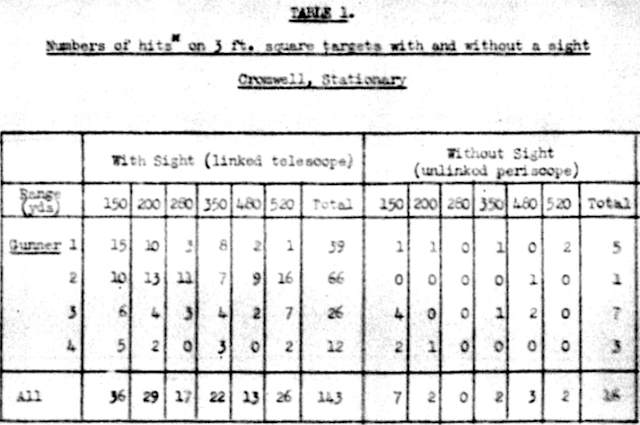 When stationary, the results for gunnery without a sight were pretty poor. Even with 1 tracer in 3 instead of the usual 5, the chances to hit at any range were low. A linked telescopic sight helped considerably. The next step of the trial was firing on the move. The Cromwells started at 500 yards, driving continuously to the target at 10 mph. The guns were fired from 400 to 300 yards, then a 100 yard pause was taken, and then fired again from 200 to 100 yards. An estimated 60-80 rounds were fired, but it was difficult to estimate because the BESAs were jamming constantly, even with carefully inspected belts and ammunition. The addition of a sight still led to an improvement, but not as great as when the tank is stationary. A more interesting trial followed: a showdown between the modified Cromwell and a Sherman V.
Curiously, the fire of the Cromwell at 300-400 yards was less effective. The trials record explains it as: "when firing without a sight, the gunners tend either to fail to find the right position for the gun, or else find the correct lay and retain it for the remainder of the 10 seconds allowed, the number of hits obtained follows no statistical distribution. This is more evident when firing at the halt as the movement of the tank is continually altering the position of the gun relative to the gunner, so taht he is unable to learn the right position. 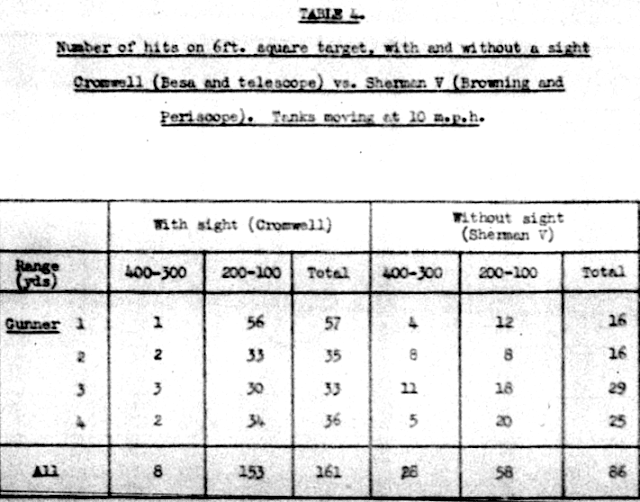 ... A curious phenomenon appears in trial iv, where the number of hits without a sight at 400-300 yds. exceeds the number obtained with a sight (tanks moving). It is considered that this is due to the gunners realising that when firing without at sight their only chance of hitting the target was to fire continuously. When using a sight, they fired in short bursts when they thought they were on target. Since, on the move, the chance of any round hitting is small at this range, whether a sight is used or not, when firing from a unstabilized gun, the number of hits is largely a function of the number of rounds fired." Not that I'm advocating bow machine guns. But too many tanks had them, only to provide inadequate sights for the bow gunner can see what he's shooting at. I agree the bow MG is the least valuable weapon on a WW2 tank, and a very expensive one in terms of space, crew and weakening of the armor. It's no accident that very late-war designs were starting to drop them (e.g. Centurion) or make them mere fixed guns (e.g. IS-2), and most postwar tanks dropped them or had small fixed mounts. That said, having lots of machineguns is still a very good idea. Supressing enemy infantry AT teams is important. When the US M-1 MBT was being developed, the veteran tankers insisted on including as many MGs as could be accomodated. True, tracers exist, and the idea was to use them to aim, but this proved to not work very well in practice. This is why you see improvised ring sights a lot (for instance, on Ram tank cupolas) to at least give the gunner a vague idea of where to aim. Interesting fact: In postwar era, in Poland, T-34-85 was used without bow gunner. Bow gun still exist, but was used as fixed MG. In Polish manual for T-34-85M (manual from 60ties) we can find info that tank have only 4 mans crew (3 tankers inside turret, one in hull, on driver position). Interesting - I did not know that. The T-34 had exceptionally poor facilities for the bow gunner. I suspect a LOT of them went into combat in WW2 with one one man in the hull. Of course, I know that most readers of this blog don't know Polish language, but from other hand, drawings is pretty universal. On page 29 (33 in electronic version) we can find "pmK-47" designation used for Kalashnikov avtomat- thats very interesting, because "47" number don't be widely used in Polish Peoples Republic for Kalashnikov avtomat designation (we use pmK or kbk AK designation, without famous "47"). On page 17 (21 in electronic version) we see driver compartment- bow MG was described as "kierunkowy (przedni) karabin maszynowy"/direction (front) machine gun. On page 80 (84 in electronic) we see ammo stowage in T-34-85. And thats interesting, because we see ammo in turret, we see ammo on floor, and we see few vertical mounted ammo in hull- but we don't see ammo mounted horizontally on battle compatment walls. This mean that some modern computer graphics of T-34-85, was propably flawed (as example, on Wikipedia, in article about T-34, I find modern T-34-85 graphic with ammo mounted horizontally on battle compartment walls). 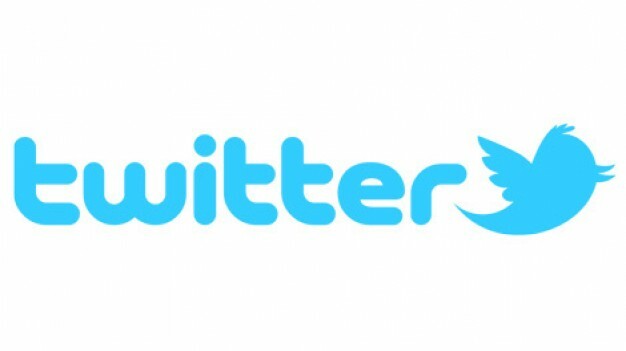 Very interesting site, thank you. Thankfully Polish is similar enough to Russian that I can sort of stumble through it. BTW, in my opinion US Army like guns without gunsight- I think about M231 FPW (and this gun have a conotation with armoured vehicles!). My original point about inadequate comes from watching Nicholas Moran sit in so many tanks bow gunner position and have nothing but a tiny hole to look through to aim. Though I suppose if the TC is above you looking out, the tracers might help him, and he can tell you to shoot up, down, left or right. Not to mention a waste of ammo. That would be a horribly slow way to correct fire. Most tanks either provided a gun sight (in the russian case iron sights and a hole in the ball mount) or at least a periscope for the bow gunner for himself to see the tracers. Yes most Russian tanks had a hole and sometimes a periscope. To Russia's credit, they liked to standardize something and produce lots of each type. But holes are of little value in a moving tank. Some tanks are great and some like the Somua S35 had some dude standing in the front hull and didn't even give him a gun port much less and sighted machine gun. One must wonder if the tank designers had ever seen a real tank.